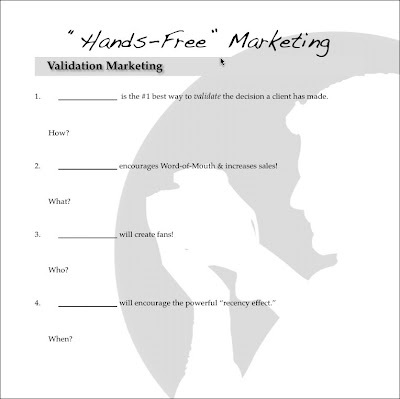 I've come up with a new addition to my "Hands-Free" Marketing system and it's called "Validation" Marketing. I've found it to be incredibly powerful. It's my belief that marketing should focus on validating the purchasing decisions of current customers rather than simply trying to reach new (potential) customers. 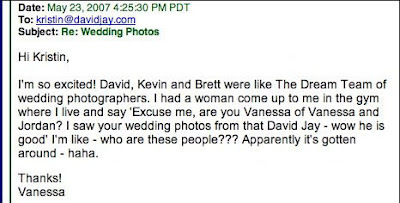 Great example below from a bride who paid over $15,000 to have me at her wedding. 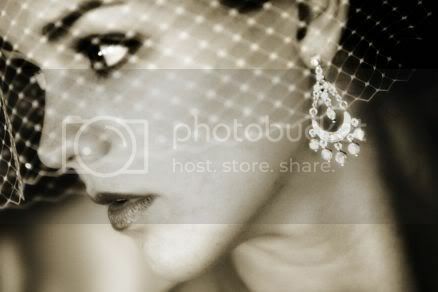 A couple of days after her wedding I put a slideshow on my blog and 1000's of people saw it. One of them apparently stopped her at the gym in NY. Now that's "Hands-Free" (Validation) Marketing at it's best! Here's one page from the workbook that we'll be going through at my first ever workshop later this year. Stay tuned because I'll post it here first! I'm off to shoot a sweet wedding in Pismo today and tomorrow and then I have a couple of weeks off to finish preparing this workshop.